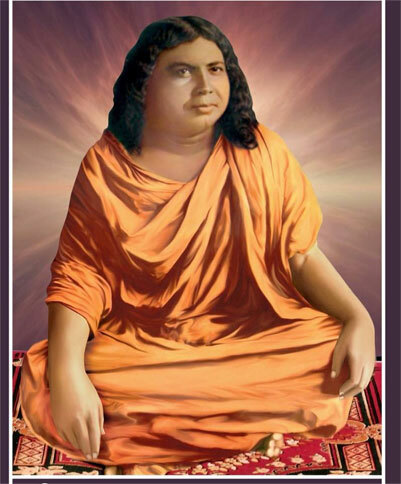 THE LIFE AND TEACHINGS OF ACHARYA SRIMAT SWAMI PRANAVANANDAJI MAHARAJ. On the auspicious occasion of Magh or Maghi Purnima which will be observed on the Wednesday 31st January, 2018, we bring you a message on the Life and Teachings of one of the many galaxy of saints who came on the Indian scene over many centuries ago to rejuvenate and inspire mankind back to a religious way of life. Acharya Swami Pranavanandaji Maharaj - Founder of the Bharat Sevashram Sangha in India and who lived in the first half of the twentieth century was only 44 when he left His mortal coil but left his imprint on India in various ways and strove to realise, in the order he founded (his Sangha), an organisation which would bring new energy, life and pride to the Hindu masses in India and the world. He was one of the figures whom we ought to take seriously in estimating the power and value of the modern Hindu renaissance, stretching from centuries of Gurus to contemporary times when a variety of religious leaders have made their impact upon both the Indian and the Western scene. In some ways he stands most authentically for ancient Hindu values which can easily be overlooked by modern commentators, scholars and interpreters of religion. Perhaps he is the most conspicuous case of the practice of Tapasya in modern times. The goal of human life is self-Realisation. And Religion is not confined to church, temple or mosque. Indeed, religion is self-discipline and adherence to Truth" --- a truth for all men and all climes. This was the first utterance of Acharya Swami Pranavananda Ji Maharaj. As a believer in the value of will-power, he developed it to such a point that he gained full control over his sleep, and declared that firm determination was the root of all his spiritual achievements. He asserted, "Force of determination can create a vibration for the entire world to feel, and even the All-dispenser would melt in His mercy and would appear before His votary to fulfill his vow". Tradition produces a matrix out of which the stuff of life is daily fashioned. Despite the floods, storms and plagues that beset Indian life, the people had security in the repeated structures of time which bind lives together. For each festival and each routine whether sowing or harvesting or house cleaning, reminded a person of his brothers and sisters in the fabric of village life with whom he shared joys and tribulations. Life was warm, humid, patterned by sacred events, glimmering with the traces of the glorious past, and haunted by the gods who were the outer messengers of the one Divine being. The lesson is, from the Hindu point of view, that the One manifests itself all through nature, in varied forms, so that we may, as Blake says: "See a world in a grain of sand, and heaven in a wild flower; Hold infinity in the palm of your hand and eternity in an hour." The soul is afraid of death, of the death of its passions and desires. It also fears the death of the body: Is death the end of all? Then we hear the voice of the eternal in man speaking to the soul that doubts and trembles: we hear about our immortality. After this, come sounds infinitely serene and peaceful: the soul has peace from passions, and peace from fears and lower desires. Acharya Swami Pranavanandaji Maharaj declared "Mad indeed is the who thinks of unravelling a spiritual life with the help of a mind torn by passions, tyrannised by the senses, and agonised by carnal hankerings." Thus, His message of self discipline, adherence to truth and continence is the answer to character building with calibre and capacity to fulfill the human spirit to a divine life. Without His grace nothing can happen. But when we are sincere, when we want to work our way up, His grace also comes. If we go one step he comes ten steps to meet us, but we have got to be sincere in our efforts. He always receives us with open arms, provided we want Him, we long for Him. The basis of religion is not fear, but love. We do not want to worship god to escape from the woes of the world but we should worship Him because we want Him to be part of our life, to feel His presence in all that we do. So, unless that real longing, that real yearning, comes with us and that real devotion takes place in our heart we cannot achieve our destination. By the Grace of the Lord. We may say that we have become devotees of the Lord because we have found the right teachings, we have found the path, we have found the Master. Actually, when He wants us on the path, when He wants to give us His devotion, He creates such circumstances that we have no option but to follow the path. We are ultimately drawn to the path. It is all in His hands. When He wishes it, everything becomes clear to us. With His grace we will meet a Master. Through contact with the Master we will be put on the path, and with our efforts we invoke His grace to travel on that path until ultimately our practice will lead us to our Home and we merge back to Him. Without the Lord’s grace nothing can happen. Everybody has virtues in him. But love, the real spiritual love, brings out these virtues. In spiritual love, there can be no jealousy, for you have forgotten the whole world; whether it exists for you or not, you are just in Him. That is the difference. We should always pray to Him for His mercy and guidance. Real prayer comes from the heart. Generally, we have set prayers. We remember them and repeat them every day, several times a day, as such, a true devotee or aspirant is in constant communion with the Lord. When the heart speaks, He hears, He gives. So we should pray to Him to guide us, to be merciful to us, to redeem us from birth and death, to take us into His own lap, in fact to merge us into Himself. That is real prayer. The men and women from all walks of life have found in the Master’s teachings a new hope, and the promise of a meaningful spiritual life whose vast potential can be realized even while discharging worldly obligations towards family and society. They have journeyed from far and near to sit at his feet and receive the divine message, and have been initiated into the mysteries of a spiritual life.